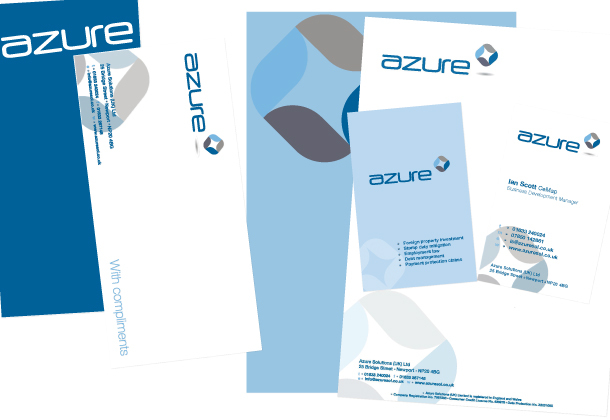 Azure Solutions is a financial services provider with more than 20 years experience within the financial services industry and the property market, both home and abroad. Their corporate identity had to reflect the quality of service and advice they are able to provide. The colour palette therefore had to reflect the corporate nature of their business while at the same time not making them appear too dull and like every other financial services provider. The key to this project was therefore the typography. By simply by combing a lowercase modern font together with an elegant graphic and colour palette we were able to deliver an identity that they we proud of .